This pattern -- Fresh Laundry by Liz Katsuro -- is a perfect choice to feature fabrics, which was important for my friend. 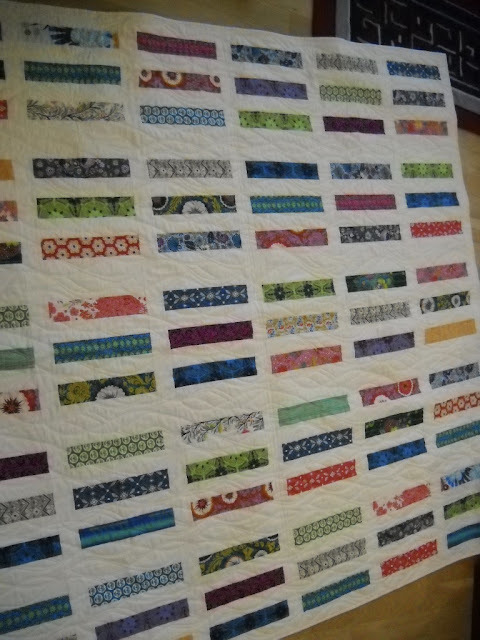 Using white makes the colors pop! 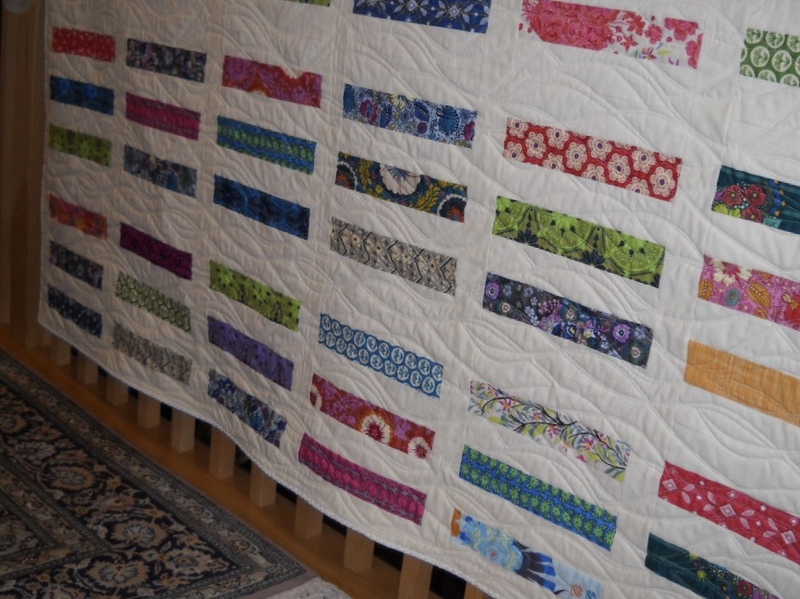 Long arm machine quilted by Fireline Design in Palmerton, PA.